When I took this image outside of an Edinburgh pub the myths of ancient Greece could not have been further from my mind. Then I started reading the works of Homer. A recurring theme in both Homer’s ‘The Iliad’ and ‘Odyssey’ is the omen of a bird in flight. Even more powerful is where a bird of prey carries in its talons livestock or other quarry. A bird seen on the right and the omen would be one of success but on the left such an omen would spell downfall or disaster. 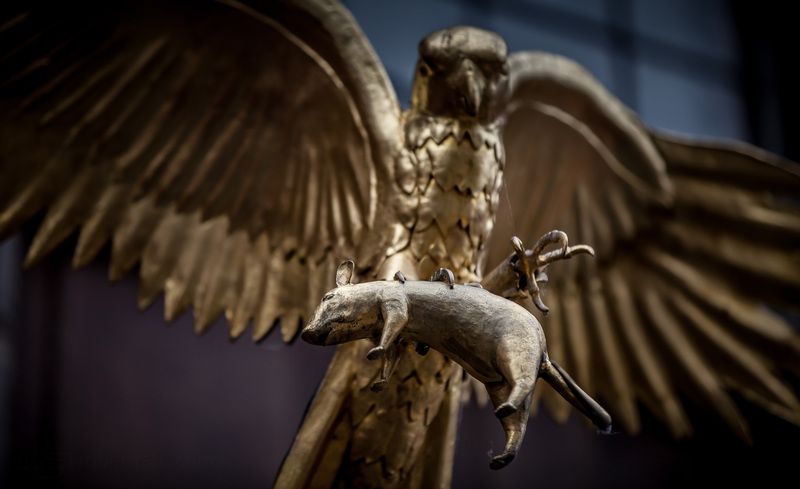 In the Greek myths the bird of prey is always a great eagle carrying a sheep or pig or goat. If you squint a little and use your imagination this hawk could be that great eagle and the rat, a young pig. Regardless, just make sure it stays on your right.